From fashion photographer, contributing Glossed & Found fashion editor, blogger and stylist to a wife and loving mother of two, Helen Berkun is fueling Chicago’s fashion industry with her eye-catching editorial campaigns and her own eclectic sense of style. Because of her expert eye for design, MDPR wanted to take Helen out from behind the scenes for a chance to shine the spotlight on her many talents. And, what better way to embody Helen’s enthusiastic spirit than to draw inspiration from Audrey Hepburn (à la Breakfast at Tiffany's), an icon for style and elegance. Chicago’s chic new Langham Hotel served as the perfect setting to reflect Helen’s personality and elegance. MDPR: You have so many talents and are involved in so many things, but it seems like you follow the philosophy, "choose a job you love, and you'll never work a day in your life." What does a typical day look like for you? Helen: You're right; I absolutely live by that philosophy. I am so blessed to actually do what I do. My day to day life is different, but I think that's another reason why I love my job so much. It's always so exciting! Every day really is a brand new one. If I'm not traveling, which happens often, I typically wake up with my kids around 6:45am. We do the common morning routines, and then I drive my son to school. If I'm working from home, I go to the gym first thing and then I'm back to my home office answering emails. I get about 300-400 per day. Because I wear so many hats - photographer, stylist, creative director, blogger - a regular day may mean that I'm retouching, meeting with clients, pulling for shoots, contacting show rooms for sample pieces, on-set shooting or styling, or writing trend reports for different magazines. MDPR: What is one of your favorite campaigns you have done? What are your favorite types of jobs to work on? Helen: Everything I do for Glossed & Found becomes my favorite editorial. I've been fortunate to work with many celebrities, photographers and several incredible magazines. However, working with G&F is like working with my best friends, my family. I can't explain it. I have so much love for this online magazine blog, it’s like my baby. Each editorial becomes such a labor of love, and it's so rewarding to see it all come to life. It's incredible to be recognized for being part of this unbelievable family. I also have to admit, we have a blast at our shoots! MDPR: Who is currently your favorite designer? Helen: I'm always in love with Alexander McQueen. I think Sarah Burton has done a fantastic job of designing the collections and staying true to Lee's vision of the brand. For more affordable pieces, because let's face it, I'm a big high/low mixer and I hate spending a lot on clothes with the exception to shoes and bags, I love Zara and ASOS. This season I also love the Tory Burch collection. It's very wearable and I just adore all the prints and ladylike layering she did for the Fall '13 looks. 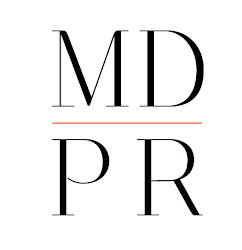 MDPR: Where do you draw inspiration for your personal style and how do you style yourself differently than you style your clients? I'm definitely inspired by street, motorcycles, Gwen Stefani, music and my life. I'm always on the go, and in the summer it's not uncommon for me to go to a fashion event and then come home and go for a ride with my husband on our Harley. I also need to be versatile enough to meet with clients during the day and spend time with my kids at the park in the evening. My wardrobe typically goes from day to night and from stilettos to biker boots. I style each client based on their needs because let's face it, we all have very different lives. I like to hear about their personal style and dress them according to that. It's important to me that the clothes don't wear the client; you can see when a person loves what they have on and when they simply can't pull it off. Trends are fun, but they don’t work on everyone. MDPR: This shoot is inspired by “Breakfast at Tiffany's.” What characteristics do you feel you share with Audrey Hepburn? Helen: Oh boy! In all honestly I could never be as graceful and classic as Miss Hepburn. I'm a total tomboy and a bit clumsy. I say what's on my mind without sometimes thinking about it and I don't think I'm nearly as refined. However, many say that Miss Hepburn was a nurturer and a protector and I can definitely relate to that. Especially being a mother and a wife, there isn’t anything I wouldn't do for my family! While Helen's look might be more eclectic and playful than Audrey's, we can undoubtedly say that the two share one thing in common. Just as Miss Hepburn left a legacy of success and respect in her field, Helen is quickly forging a similar path of excellence for herself. We want to know (and our star does too), which look do you love the most? Comment below or tweet your choice to us (@monikadixonpr) and Helen (@helen_berkun)!